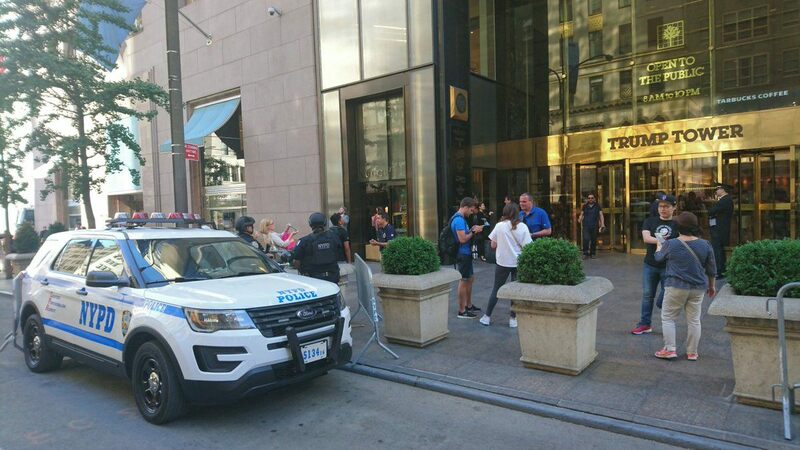 Police arrested an armed man at the Trump Tower in New York City on Tuesday. A man is in custody after police responded to a call about someone showing up with a gun at Trump Tower Tuesday night. The Secret Service asked for NYPD assistance after stopping the man at the building on Fifth Avenue by E. 56th St. just after 10 p.m., officials said. Police sources said the man walked through a blocked-off area with a gun, and was taken in by the Secret Service because he didn’t comply with authorities. It’s not clear if the man posed a threat to Donald Trump, or if Trump was in the building at the time of the incident.